A sure hit to be your sweeties new best friend and would make a great gift for any little girl! Sewing Pattern with Instruction for two 15" ragdolls and their skirts. A sure hit to be your sweeties new best friend and would make a great gift for any little girl! 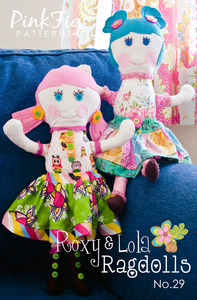 Sewing Pattern with Instruction for two 15" ragdolls and their skirts.